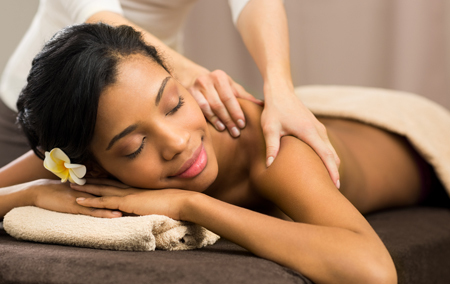 Even a seemingly idle moment at Waterwoods is rich with a unique experience. There are many things to keep you busy within the resort; and some more to get you active outside, on the Kabini and in Nagarahole. 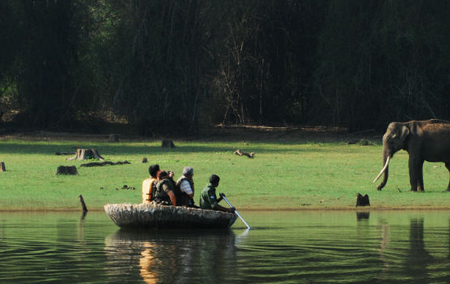 Kabini is about the only place in India where you can see wildlife from land and water. The Karnataka Forest Department conducts daily Road and Boat safaris, subject to weather conditions and government regulations. Different seasons bestow visitors with diverse animal sightings with Herds of elephants, spotted deer, bison and the occasional tiger and leopard sighting during the warmer months. During the monsoon waterholes in the interiors are full so animals prefer to stay in, while thick undergrowth hides even a sizable elephant making sightings slightly difficult. All safaris are accompanied by a certified Naturalist. 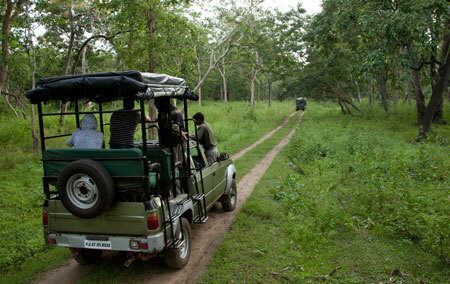 Both safaris are conducted twice daily (6.30 am & 3.30 pm). 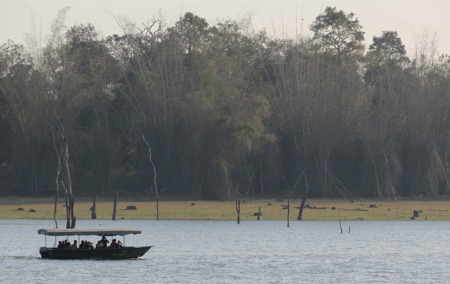 A boat cruise across the Kabini takes you on a journey back in time to Bheemankoli, named after Bheem from the Mahabharatha who crossed the Kapila river from this point while he was on exile with the Pandavas. Bheemankoli resonates with the energies of Shiva as there are three temples on this peninsular dedicated to him. Two of these temples have been built in ancient times by the Chola dynasty and the third is a medieval temple built in honor of Mahadeswara Swamy – a famous saint and incarnation of Lord Shiva symbolized riding on a Tiger. As the cultural heritage of this land encapsulates you, a massive Banyan tree takes you by surprise as you are left in awe by its size and beauty. This 600 year old tree covers more than an acre of space and is the highlight of Bheemankoli’s sacred grove. Nature, heritage and stunning views from the boat cruise make this a memorable activity for guests. It’s water, water everywhere. The Infinity edge pool and kids’ pool at Waterwoods are perched on the side of the hillock, at the central courtyard of the resort. Beyond the pools the grassy land slopes down to meet the Kabini. It is a pleasant area to relax and catch the sun on the loungers scattered about. Any time is good for a dip or some water games like water polo in the pool. A 20-minute ATV drive on the open grounds is a greater pick-me-up than two days of inspirational talk The speed and the wind on your face is quite exhilarating. Waterwoods has easy to ride All-Terrain Vehicles for you to enjoy 12 acres of pristine outdoors. The tracks go past the cricket field, a bio-diverse tree plantation, weaver well, machan, along the waterside and up to the greenhouse. Kids will surely have a nice time, going up and down in the trampoline installed near the riverside. The scenic Bramhagiri backdrop will surely make a good photo-op for the parents. The grassy stretch near the river bank is a good place to enjoy a good game of volleyball or badminton. The other side of the hillock treats you with a cricket pitch which can evoke the Tendulkar and Warne in you. You can also enact Jonthy Rhodes dives during the game on this cushioned grassy field. What’s more, the ground commands historic value as legends of the game like Dravid and Kumble have played here; both as guests at Waterwoods and as part of domestic tournaments. If you are a movie buff, look no further and head straight to the movie hall. Choose from a wide range of Wildlife documentaries and Hollywood titles and let River Kabini play backdrop to your movie watching experience. For centuries local tribe and fisherman have navigated our rivers on coracles and we offer you a chance to ride with them on the Kabiniriver. If you feel like a leisurely work out, get into one of our single or double-seater Kayaks and paddle out into the blue. 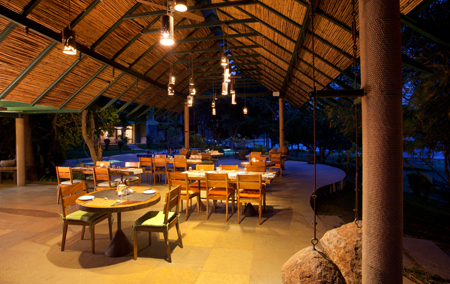 The calm backwaters offer a serene ambience accompanied with stunning visuals, especially during sunset. We provide experienced guides for these rides along with life-jackets. 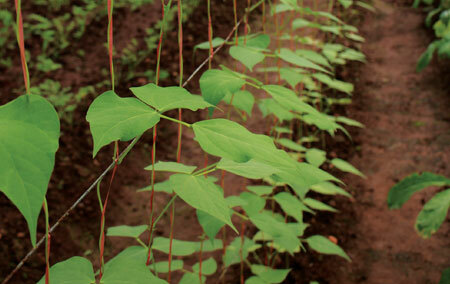 Waterwoods has its own greenhouse and orchard, which are an effort at organic farming and self sufficiency. A large variety of herbs, salad leaves and about 17 seasonal vegetables are grown with care in the greenhouse. The orchard is growing with over 22 varieties of fruit trees including (o mango, papaya, water apple, custard apple, lemon, fig and more). Only Neem-based pesticides and organic manure are used to fertilise the land. All the produce from the gardens find their way to the dining table, offering you the healthy taste of fresh, organic food. You are also welcome to visit and tend the gardens during your stay here. There are millions of stars in the sky and if you want to watch a few of them whose view is normally restricted by the urban cityscapes, just relax and look up. 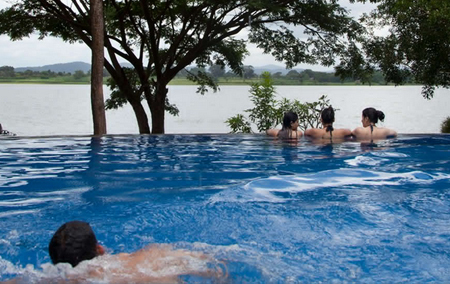 The River Kabini plays perfect foil in soothing your nerves while you look up to a beautiful lit night. And if by chance you see a shooting star, don’t forget to make a wish to spot a tiger in your next safari. Brilliantly coloured Koi fish add a vibrant streak to the WaterWoods ambience. The little stream at the entrance and the pond at the spa make you pause, watch and maybe throw some grub to the lively creatures. Koi fish are not just ornamental; they are legendary for their perseverence, and their image of power and strength as per their colour. It is said that the Koi originally belonged to Central Asia, in China. Natural genetic mutation is said to have brought about their fascinating colours. If you enjoy indoor games, make full use of a Carom Board, Pool Table, Poker or playing cards that will keep you and your team engaged. 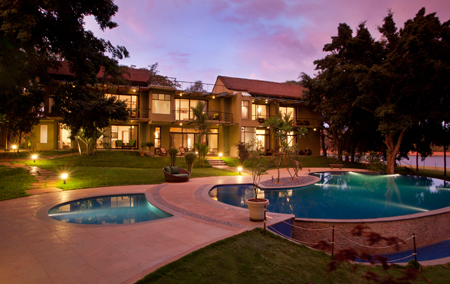 Free Wi-Fi is available throughout Waterwoods Lodge, Kabini.